Zeefax recently designed and built the world’s first full size, fully functional SCR Training Simulator, which provides the most realistic training and assessment experience currently available for rig operators and managers. Zeefax recently designed, built and delivered the world’s first full size SCR Training Simulator for Naftogaz, the National Oil and Gas Company of Ukraine. This fully functional SCR Simulator provides the most realistic training and assessment experience currently available for rig operators and managers of all skill levels, encompassing all operational and maintenance scenarios. 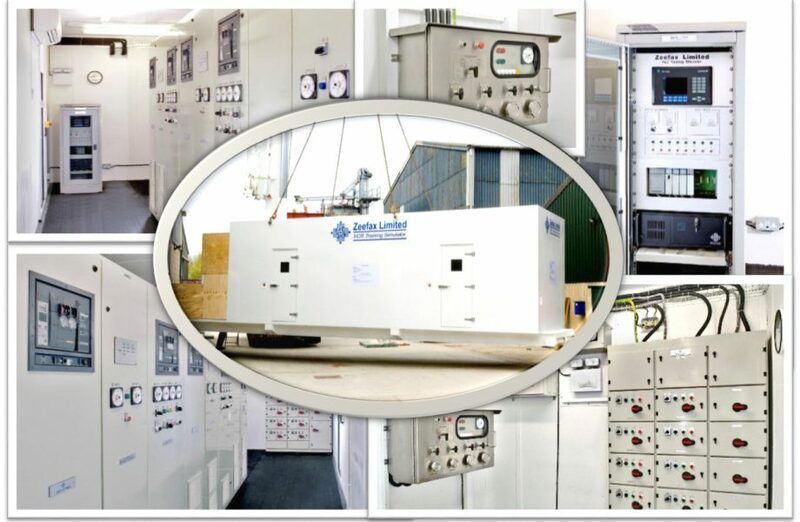 The system enables a comprehensive list of fault conditions to be tested, such as generator load sharing faults and power limit problems, as well as simulation of many diverse operating regimes, including generator start-up, shut down, and synchronisation. Furthermore, combinations of assignments, allowing simulation of Mud Pumps, Drawworks, Rotary Table, dynamic braking, and auxiliary motor control, may be mimicked, thereby providing exact matching of actual operational conditions. The 40 foot long, self contained simulator includes operator and instructor work-stations, where trainee activities can be viewed and assessed, and known faults can be selectively introduced during tests and assessments. The Power Control Room also contains a PLC training station, complete with graphical display, facilitating training in the use of PLC controlled systems, including troubleshooting and component replacement.